Life isn’t like the movies, and eleven-year-old Turtle is no Shirley Temple. She’s smart and tough and has seen enough of the world not to expect a Hollywood ending. After all, it’s 1935, and money and dreams are scarce in the Great Depression. So when Turtle’s mother gets a job housekeeping for a lady who doesn’t like kids, Turtle says goodbye and heads off to Florida to live with relatives. But when she arrives in Florida, she finds a place of rag-tag boy cousins, family secrets and sunny skies. 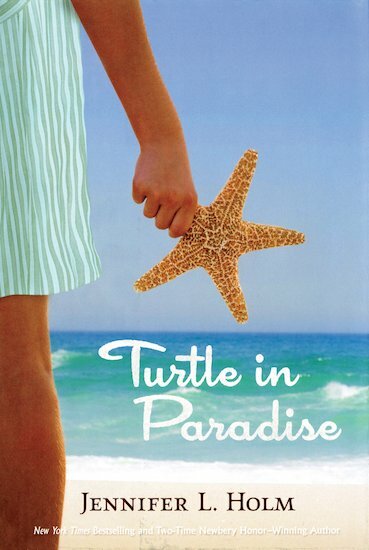 And as Turtle finds herself coming out of her shell, a little bit of paradise unfolds…. Three-time Newbery Honor winner Jennifer L. Holm blends family lore with a vivid portrait of the past in this charming gem of a novel, rich in the unique flavours of America’s Key West.